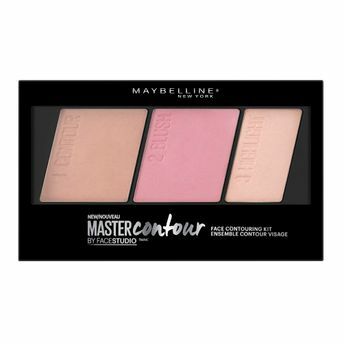 Contour in a minute with the Face Studio Master Contour Palette by Maybelline New York. Three blendable and buildable shades help shape, define, and highlight the face for fool proof contouring. This easy-to-use 3-step contouring kit features bronzer, blush, and highlighter shades. The blendable and buildable shades allow you to customize your look and look picture-perfect every time. Consists of a bronzer, blush, highlighter. Defines and sculpts your face beautifully. Explore the entire range of Contour available on Nykaa. Shop more Maybelline New York products here.You can browse through the complete world of Maybelline New York Contour .Alternatively, you can also find many more products from the Maybelline New York Face Studio Master Contour Palette range.